The position of Chief Commercial Officer in TATRA TRUCKS with responsibility for the sales, marketing and aftersales service strategy and management is now occupied by the former Purchasing director Martin Šustek, who also becomes a member of the Board of Directors. In 2016, under David Pipal's leadership Tatra managed to increase sales sharply to 1,320 vehicles, which represented an annual increase of 54 percent. In order to maintain and improve this standard, TATRA TRUCKS will further strengthen their sales capacity, in terms of both human resources and the improvement of internal processes and strengthening the communication between sales, marketing, R&D and the production departments. Since February 20, 2017, Martin Šustek has assumed management of the Sales Department including marketing, after-sales service, spare parts and service departments in TATRA TRUCKS as the Chief Commercial Officer (Sales and Marketing Director). At the same time, he becomes a new member of the Board of Directors. The Sales Director David Pipal will remain a member of the Sales team and will report directly to Martin Šustek, whom he will assist in strategic business projects, where David's extensive business experience will be applied. The Chairman of the Board of TATRA TRUCKS Petr Rusek made the following comments regarding the appointment of Martin Šustek to his new position: "Martin has a lion's share in meeting the sales plan in 2016, where he succeeded to coordinate excellent relationships with suppliers and provide everything necessary to abruptly increase production. He has excellent preconditions for the systemic development of sales and marketing and after-sales services of Tatra." 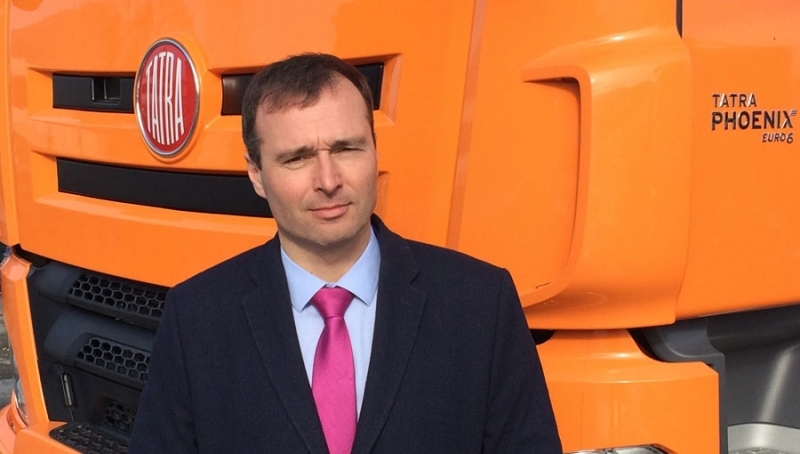 The CEO of TATRA TRUCKS Radek Strouhal adds: "As an experienced manager, Martin will focus on creating a fully functional and stable structure of the whole sales department that will be able to effectively respond to both the changing market needs and the internal needs." The Chief Commercial Officer and TATRA TRUCKS Board Member Martin Šustek says: "I take the position of CCO as a great personal challenge. In the first phase I want to focus on the internal processes in sales, marketing and aftersales services. Competition in the truck market is great, but the unique solution of the TATRA chassis still opens up a number of promising business cases to ensure business growth for us in the coming years."